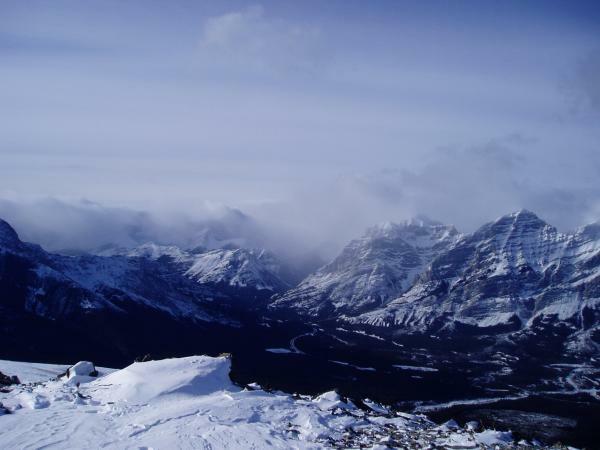 Although this outlier of Mount McDougall, named by Bob Spirko as “Little McDougall”, was not my intended destination for the day it nevertheless served as a satisfactory summit for an easy alpine climb in late January. 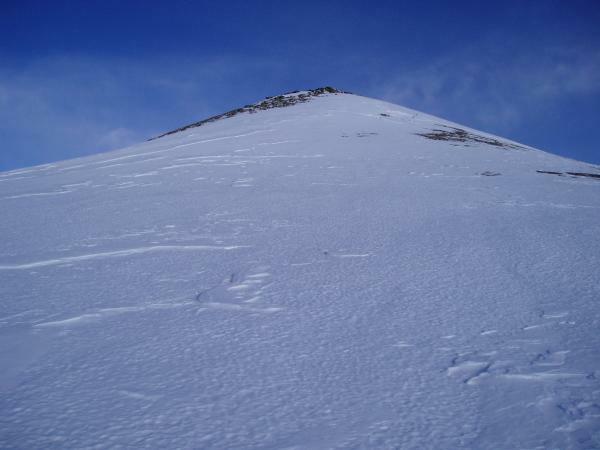 My route followed the Evan Thomas Trail to the drainage south of Little McDougal then at a cairn up diagonally to the ridge on a faint trail that eventually dissipated under snow cover. 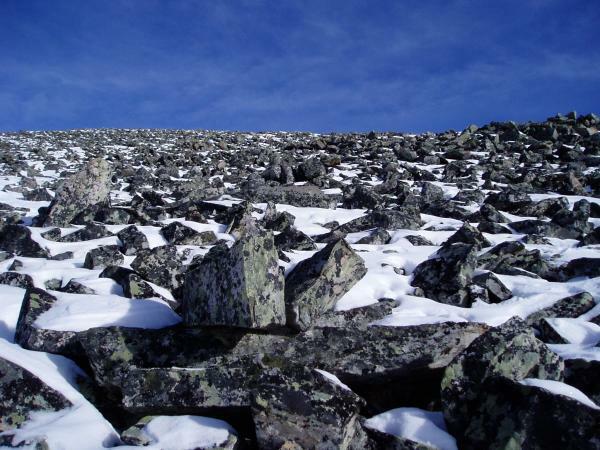 The ridge to the summit pyramid is covered in large shaky talus. In fact the summit register revealed that a rescue was preformed near the peak due to a sprained ankle. 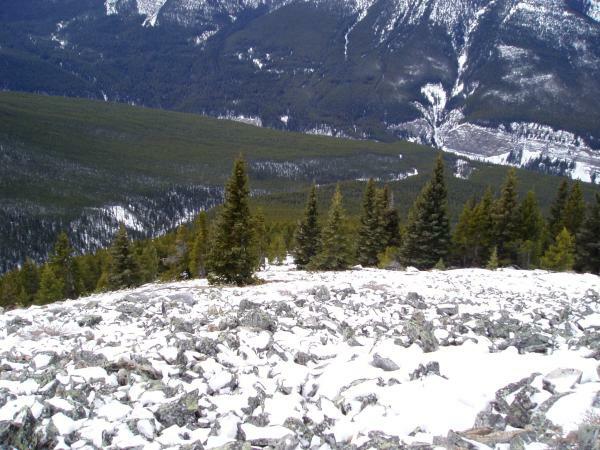 The talus, covered in a layer of snow and verglas was a dicey proposition. Nevertheless I prevailed and then had to contend with the wind swept summit bump that was covered in extremely hard schnice. I only had walking crampons with me and the ice would not take my ice axe. So mindful of the run-out I used French technique up and down the bump. Although not very steep, the condition of the ice rendered this a fairly risky exercise. All in all, given the verglas, talus, ice and temperature, this trip was not well suited to a solo effort. The talus on ascent. The weather would soon deteriorate. Looking back as I leave tree line. At the summit with the weather about to change. 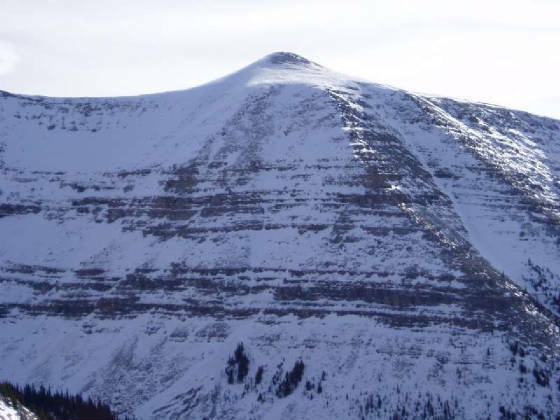 A telephoto shot of the North face of Little McDougal taken from Old Baldy a month later.